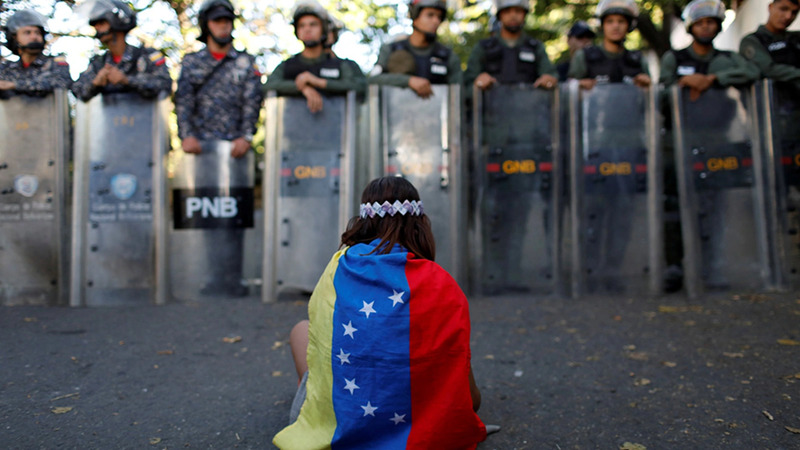 Venezuela is in the midst of an unprecedented economic and political crisis. During this event, panelists discuss the effects of this turmoil on the region, current U.S. and international policy towards Venezuela, and possible options to address the growing crisis. For further reading, please see the CFR Backgrounder “Venezuela in Crisis,” the Contingency Planning Memorandum A Venezuelan Refugee Crisis by Shannon K. O’Neil, and the CFR blog post “OPEC’s Venezuela Dilemma and U.S. Energy Policy” by Amy Myers Jaffe. FERNANDEZ: So good afternoon, everyone. I’m Jose Fernandez, and I’d like to welcome you to the Council meeting on “Volatile Venezuela: What to Do About the Crisis.” This series, the What to Do About… Series, highlights a specific issue, and features experts who will put forward strategic recommendations and policy prescriptions in a mock high-level U.S. government meeting. On behalf of the Council, I would like to thank Richard Plepler and HBO for their generous support of this series. And we’re fortunate this afternoon to have three leading experts on Venezuela and on the U.S. government. I’m not going to read their bios. You have them. All the way on my left is Brad Setser. Brad Setser is at the Council now. He was a DAS, deputy assistant secretary, at the—at the Treasury Department for about five, six years on international analysis. Before that he was at the NSC, and then before that at the NEA—at the national economic advisors. Shannon is well known to all of us. Not only does she run the Latin America Program here at the Council, but she runs a number of other programs and has written extensively on Venezuela. FERNANDEZ: —one of the most highly-decorated Foreign Service officers at the State Department. I had the pleasure of working with him. He’s been ambassador to Venezuela, to Chile, to Colombia. But before he left, he was the assistant secretary at INL, the International Narcotics and Law Enforcement department. FERNANDEZ: To which—to which I responded, you know, credibility is overrated. So let’s start. For the last few years, we’ve heard that Venezuela is in a free fall, and it’s imploding, that it’s become or is on the way to becoming a failed state. We’ve all read about oil output being at its lowest level in 28 years; Venezuela being, according to some credit agencies, in selective default; imports of food down 30 percent; plus, last year—the average Venezuelan losing 24 pounds on average last year. Inflation this year is expected to be in the neighborhood of 2,000 percent, according to the IMF. Let’s start with the first question, and I would like each of you to just give me your views. And I’ll start with you, Brad. Describe the situation in Venezuela today. Are we looking at an implosion? Is it a failed state? Just how dire are things? SETSER: I think it can fairly be described as an economic implosion. Output is estimated to have fallen by over 10 percent in 2017. It’s expected to fall by another 15 percent this year. And the cumulative fall in output from Venezuela’s peak would, by the end of 2018, approach 50 percent. That is the kind of economic collapse that has, I think, almost never been seen outside the context of a war or a natural disaster in a very small state. It is significantly deeper than the fall in output in Greece, and Greece was much deeper than the kind of financial crisis contractions observed in Latin America in the 1990s. So, in terms of basic economic indicators, Venezuela is in free fall. Other key indicators point in the same direction. Oil output has been falling quite significantly. It’s down well over a half-million barrels a day from its peak, with a significant fall in the fourth quarter. And now Venezuela’s total oil production is estimated to be around 1.5 million barrels per day, which is quite low. Venezuela’s falling output is, I think, generally believed to be one of the contributors to the recent run-up in oil prices, which has to a degree mitigated the impact of falling production, but only to a degree. At the peak of oil prices, Venezuela was getting $80 billion a year in oil export revenue. Realistically, it will get around 25 billion (dollars) this year, with some downside risk if prices fall. Imports are down by more than output, down over 75 percent from the peak. As you mentioned, inflation is out of control. Currency is rationed. Food is rationed. Having access to the military’s procurement, because the military gets preferred access to foreign exchange, provides kind of a patronage network that helps keep the regime in power. But every economic indicator is, I think, dire and, as importantly, getting worse. Venezuela’s not paying its debt, and we’ve sanctioned it, so that Venezuela cannot realistically raise new financing. The only real source of inflow of foreign exchange now is the oil. O’NEIL: Well, let me complement the economic analysis with a really feel-good aspect, the social side of it, right? And so, as you mentioned, people are starving, right? We have seen people losing weight, 20-plus pounds a year. We have seen a total collapse of the Venezuelan health care system. So you go to hospitals there, very few have any drugs. Less than half of them actually have running water on a regular basis. We’ve seen the return of diseases that everybody thought were eradicated from Venezuela—of measles, of diphtheria, and many others that are ravaging the population. I mean, one of the worst statistics that I have seen is just three years ago .02 babies were dying in the first four weeks of their life. Now it’s two out of every 100 are dying in the first four weeks of their life. So this whole system has just collapsed. And the other thing we’re seeing, we’re also seeing a huge spike in violence. Venezuela has never been a particularly safe place, but this violence has expanded more. And maybe I’ll, Bill, let you talk a bit about the security more generally. But one thing that is happening because of the lack of food, because of the economic chaos, because of the social disintegration that we’re seeing, is we have seen a huge flood, an increasing flood of people leaving the country. So with almost no choice—their choice is, you know, back to the old Albert Hirschman, you’ve got exit, voice, or loyalty. Those are your options. So many today are choosing exit. So we have seen 4 million people leave over the last almost 20 years, but most of them—many of them in the last year or two. And actually, the UNHCR, the U.N. high commission on refugees, just gave an estimate. They said that this year alone, if conditions stay as they are and don’t get worse, they expect 1.7 million more Venezuelans to leave. So we’re seeing an escalation of this flow into Colombia, some into Brazil and to the islands, and many here to the United States as well. FERNANDEZ: And this is a country of 31 million. O’NEIL: Exactly, in a country of 31 million. So you’re talking already over 10 percent of the population has left, and we’ll see just that pace accelerating. So you’ve seen a total disintegration of that—the society underneath that sustains Venezuela. BROWNFIELD: Yep. And I’ll answer your question quite, quite directly: I believe Venezuela today is a failed state. It is not yet a collapsed state. And come, let us count the ways. You have already heard several of these already. There is a political crisis. There is an economic crisis. There is a financial crisis. The president is chopping those zeroes off of those bolivar notes now—the bolivar is fuerte, is not some weak old namby-pamby bolivar, no way; these are the strong ones. There is a public health crisis driven by a food crisis. There is less food than the—available than the population of Venezuela requires. There is a migrant crisis; 15, approaching 20 percent of the population of Venezuela is either out of the country or is seeking to leave the country. I acknowledge some exaggeration, perhaps, by an increasingly grouchy government of Colombia, which is the recipient of the overwhelming majority of them, but nevertheless it’s a genuine crisis. There is a human rights crisis. Don’t believe me? Try to go visit a prison or a jail in Venezuela today. There is a corruption crisis. Some could say that corruption is a longstanding issue in Venezuela, but certainly it has reached crisis status now. There is a humanitarian crisis. And there is a crisis in that every single institution of government basically is not working. OK. That is the responsibility of the two folks to my left. I am the organized crime and the security guy. And I’ll tell you, in my opinion, what may actually drive this to collapse would be security issues. The violence on the streets of Venezuela’s cities today is at a level that this nation has never, ever seen. The penetration of transnational organized crime into Venezuela’s organizations not only is massive, but it is universally perceived. And the truth of the matter is, oddly enough, Venezuela has become a slightly less disturbing transit point for cocaine coming from Colombia and going to market. That is largely, however, I would suggest, a result of demand for cocaine globally, at least from the United States, having dropped substantially, and trafficking organizations concluding that you can no longer get real value by buying or renting officials in Venezuela. The situation is so chaotic they can’t actually deliver on what you have purchased. FERNANDEZ: Let’s dig a little bit deeper into some of—some of these points. Shannon, you mentioned Colombia and the migration crisis. Half a million Venezuelans are in Colombia today, the numbers that I’ve read. What’s it’s effect on Colombia? Colombia’s having an election soon. Talk a little bit about that collateral damage in Colombia. O’NEIL: Just to give a sense of the scale there, if you go back a few years, there were only 100,000 non-Colombians living in Colombia, right, so foreign nationals. So the fact that now there’s—last I saw it was upwards of 600,000. So 500,000/600,000. This is a huge increase, and all coming from Venezuela. And many of them coming—they are spreading throughout Colombia, but they’re coming through the border, right? They’re coming through just a few points, at least the surges are, and then some through the longer border. This is—the other challenge is some of the places where the Venezuelans are coming in also overlap with some of the places that were governed by the FARC at the time that you have a very fragile peace process. So there’s a lot of overlap. So just as the government is trying to move resources into areas that were ungoverned for many, many years, building new infrastructure and the like, it is being overwhelmed by other people coming in, so Venezuelans coming in and needing schools and basic housing and health care and all that. So how is it affecting the politics? We’ve seen overall Colombians have been, in my view, quite welcoming. You have seen actually, as this influx comes in, they have been pretty receptive and trying to—the government working, trying to set up places for these people. They’ve even—government officials have gone to Turkey to see how Turkey handled the Syrian refugee crisis, trying to model the best kinds of integration and building of infrastructure so the camps end up being a bit more family-friendly and sort of longer-term friendly. But it’s so much. And particularly in the areas where they’re coming, it is—it does seem to be affecting local politics. So perhaps not at the national level. The issues on the table have more to do with the peace process in general. It has to do with other particular Colombian issues that we’re seeing the candidates fight over, frankly. But we are seeing it at the local level in the states along the border and others that have this influx of people, being overwhelmed in terms of the infrastructure. It is affecting local politics and local politicians. And as you say, they are going to the polls in the next several weeks, and so I think it will be an issue. And you are starting to see—and in response, the Colombian government has at moments tried to close the border. They’ve let the people stay who are already there, but they have slowed down access to various types of visas and others because they feel that they can’t take on the influx that’s coming. And if the UNHCR is right, if these things are going to continue, it’s just going to get worse. This is just the start for Colombia. And the last thing I’ll say is—that’s interesting between Colombia and Venezuela, Venezuela was always the place or one of the main places where Colombians went for refuge for so many years, and so you have somewhere between 5 and 6 million Venezuelans who are actually of Colombian origin. They were fleeing the FARC and the guerilla groups and the like. And so those people, many of them are in the western part of Venezuela. There’s this huge potential population that if they decided they needed to leave, it would be very hard, I think, for the Colombians to deny them coming back to their country of origin. BROWNFIELD: At that time we estimated that 10 percent of the population of Venezuela was Colombian. I mean, that is how much has changed over the last 35 years. And, second, in terms of Colombian politics, if you’re the mayor of Cúcuta, which is either the sixth- or seventh-largest city in Colombia, or the governor of the province of Norte de Santander, Venezuelan migrants is not a campaign issue, it is overwhelmingly the most important campaign issue that they’re addressing right now. Brad, one of the things that we’ve seen Maduro in his somewhat desperate state is to try to introduce a new currency, the petro, which happens to also be the last name of one of the candidates for president in Colombia. It’s a cryptocurrency, and this administration immediately sanctioned it. Talk a little bit about the prospects for the petro. What are you hearing on that score? SETSER: I mean, I don’t think there are any prospects for the petro. The Treasury sanctions are extremely effective. It is, in theory, backed by future oil production, so buying it in some sense is a form of financing—it’s providing cash today against future oil production—and that is explicitly now prohibited by some of the strongest financial sanctions that the U.S. has. And in all modesty, I think my former colleagues at the Treasury Department and the Office of Foreign Asset Control have a well-deserved reputation for being quite tough. All right, so let’s turn now to the question that I get asked a lot, which is, you know, what leverage does the United States have in Venezuela today. Bill, you have among your many distinctions you were the last U.S. ambassador who actually served a full term. BROWNFIELD: Didn’t get thrown out. FERNANDEZ: Didn’t get kicked out. FERNANDEZ: So the question is, start talking about what leverage do we have today. We haven’t had, as you mentioned, an ambassador for nearly a decade. Our embassy has been shrunk several times. So what role does the United States play today in the Venezuelan situation? BROWNFIELD: Yeah. When I left Venezuela the last time, in 2007—happily, I might add; being George Bush’s ambassador to Hugo Chavez’s Venezuela was not the happiest three years I have ever spent in my life—but at that time I would have said the United States of America still had two long-term strategic interests in Venezuela. One, obviously, was petroleum, oil and gas. And at that time, we were purchasing I believe somewhere between 1.3 and 1.4—it varied, but 1.3 to 1.4 million barrels of oil a day from Venezuela. The second long-term strategic interest, I said, was cooperation on drugs, because a vast amount even then of Colombian product, principally cocaine, was transiting Venezuela en route to market. I would argue that both of those have largely expired, the second by decision of the then-president, Hugo Chavez, to terminate all cooperation with us on matters related to drugs. And we have since built a strategy that operates on the basis that we will have no cooperation from Venezuela. And the second, while we are still purchasing somewhere—I’ve seen figures—and we can get them—I think it’s about 850,000 barrels a day, which in turn are what are required to provide product to a large U.S. oil company who has stations, I think, in about 46 states of the union and a large sign celebrating its status over the left-field wall, I believe, of Fenway Park in Boston, and basically sever that link and there is no longer any essential petroleum connection between the U.S. and Venezuela. If we had done that in 2007, it would have been a big problem for the United States. It is now, what, 11 years later, and the truth of the matter is my own view is from the U.S. side it’s a blip on the oscilloscope, and the U.S. market would adjust to it fairly quickly. One large U.S. company would be in serious, serious trouble. Of course, it is a wholly-owned subsidiary of PDVSA. What are our other points of leverage? First, I would suggest that the—that the region, the Latin American region, has basically gotten religion on Venezuela and see the—I would call it the nonsense that I was hearing in 2004 to 2007 of we don’t want to intervene, this is an internal matter for Venezuela. You only hear that now, or some version of it, from the ALBA states—from Bolivia, still to a certain extent Ecuador and Nicaragua, Grenada I think is in that category, plus Cuba. But for the most part, all of the serious states have gotten religion on this issue. That is a point of leverage. Second, the large international organizations—and I’m thinking the United Nations and some of its constituent bodies: UNHCR, the refugee organization; UNHCHR, the human rights organization; UNODC, the drugs and crime organization—they actually are increasingly playing an active role. And the OAS’s much smaller organizations that do those roles—under a very energetic secretary-general, by the way, on this particular issue—are very active and are points of leverage as well. I suppose I’ll throw in one more, and that is a suggestion that there is one institution, in my opinion, still surviving in Venezuela that constitutes some sort of check, some sort of restriction on just how much the government of Venezuela can do, and that’s the Catholic Church. And I submit that they’re still standing for two reasons. One, they are a disciplined and hierarchical structure. In other words, Mr. Big makes a decision, and there is a process and a discipline that that decision is then implemented and enforced. And, second, it is an organization that obviously has a lot of external support. In fact, its headquarters is located in a different country and it’s able to draw upon resources from counterparts in more than a hundred different countries. And as we think through the future and think about leverage, I submit to you that that’s probably about the last remaining point of leverage still inside Venezuela today. I don’t think there is a private sector and a business community anymore. I don’t think the media has any real clout anymore. I think academia gave it their—gave it a college try as I was leaving in 2007, but have been pounded into submission. I think most of the institutions that in a normal, functioning political system would serve to provide either an alternative or a check to a government that has basically gone too far or is going too far have largely been eliminated. FERNANDEZ: We’ll get back to that leverage point in a minute. Brad, one leverage that we’ve used is sanctions. And yet, they’re still there. They keep being ratcheted up. And if you look at some of the polling that’s been done in Venezuela, despite the widespread opposition to Maduro, you’ve got about 75 percent of Venezuelans who oppose sanctions. Are they—are sanctions, are they proving counterproductive? Are we—are we sanctioning the wrong people? Talk a little bit about sanctions, their effects so far and also their effect going forward. SETSER: Well, I think there are conceptually three different kinds of sanctions that could be applied in the case of Venezuela. We can designate individuals and prohibit any U.S.—any U.S. person from transacting with that individual and block their financial assets, which has been done for the vice president. That does complicate matters if U.S. bondholders or U.S. companies need to negotiate with a sanctioned individual, but there is certainly scope for broadening those kinds of sanctions. And those kinds of sanctions have a rather minimal impact, I think, on the population. There’s a second category of sanctions that seeks to block the flow of new financing to Venezuela, targeted financial sanctions. We have introduced such sanctions on the government of Venezuela and all Venezuelan state-owned companies. I think those sanctions have had an impact. They’re an important reason why Venezuelan oil production, at least in my view, is falling. It’s been very difficult in part because Venezuela is so screwed up. But U.S. companies are much more reluctant to make further investments in their joint ventures, and that is contributing to what has been a rather sharp fall in oil production in the last five months. That is having an impact, but it also means Venezuelans can attribute some of their economic pain to U.S. actions. I suspect that the impact on Venezuela’s livelihoods from the sanctions on financing that have been introduced so far is actually very modest. The main effect has been that Venezuela hasn’t been able to sell assets at deeply-discounted prices, and therefore Venezuela has fallen into default on its bonds, which ironically would free up resources for imports. There are steps—and we may want to come back to these—where those kinds of sanctions could be tightened somewhat further. We haven’t gone to the maximum on those sanctions, but we’re close. There’s a third category of sanctions which unambiguously would have a negative impact on the Venezuelan people and on the Venezuelan economy, and a modest impact on the U.S. economy. Those would be sanctions that interrupt the flow of oil. There are two options there. Venezuela imports U.S. fuel oil in a swap arrangement. It imports U.S. condensate to blend with its heavy crude in order to export. So we’re actually exporting 100,000 barrels a day of oil product to Venezuela. FERNANDEZ: So they can mix it. SETSER: So they can mix it. I mean, Venezuela produces some light crude and some really sludgy stuff. And in order to get the sludgy stuff to flow, it has to be blended. At least that’s how I understand it. So we could block the export of our condensate and other materials that are needed for Venezuela’s oil to flow out. We could block payment for it, and if you’re not going to get paid you’re not going to sell it. That would be, I think, the incremental option. The much stronger option would be to prohibit the import of Venezuelan oil. I think the latest data would suggest that that has now fallen to closer to half-a-million barrels a day because there’s been a very dramatic fall in the last few months. But that oil is actually quite profitable for American companies to refine. It’s the cheapest oil out there. I think that gives a sense of the range of options. There aren’t many other sources of foreign exchange flowing into Venezuela, other than from the oil. Shannon or Bill, is ratcheting up sanctions a realistic option? O’NEIL: I think the Trump administration’s definitely talking about it, right, as a realistic option. I do worry, as Brad was saying, that those sanctions would definitely hit the population of Venezuela harder than the individual sanctions or perhaps even the financial sanctions. And then, back to your question, does it get you what you want? Which what it seems the administration says they want is they want a change in behavior, they want free and fair elections, which would necessarily lead to regime change. So what they want is regime change. And I think the caution with sanctions, and particularly those economywide sanctions, is when you look historically around the world, sanctions, when they do seem to work, seem to work when you ask for a change in particular behaviors but not a change in regime. I think there’s very few cases. And even when you get a change of regime, say in South Africa, which is a case when you had a change in regime, it took a long time. Bill, are sanctions making the elites and the political elites in Venezuela today fight to the death? BROWNFIELD: Maybe, Jose, although I would say—and by the way, in the interest of full disclosure, one, obviously, I no longer work for the administration. And, two, for the last roughly two years, my last two years in government, I was a pretty strong proponent of ratcheting up sanctions. And sanctions can be hooked to a number of things. They can be hooked—I managed the drug kingpin sanctions, which are drug trafficking or trafficking-related sanctions. There are sanctions that can be connected to corruption, to human rights abuse, as well as to other specified purposes. For most of the last—my last two years, I argued for what Brad was describing as sanctions that were directed at individuals. And my argument, which I think has come into play over the last year, was that by pinpointing individuals, you actually are telling the people of Venezuela—not that they did not necessarily know it, but—that they have a horribly corrupt and penetrated government, and that there are government officials who are living very high on the hog, and frequently with millions and millions of dollars in assets located in places such as the United States of America, where they park a lot of assets through real estate and other means of acquiring property, and you’re able to make a political point as well. Now, your question—and it’s a perfectly legitimate question—is, is this—does this mean these guys are going to dig in and not let go? Maybe. Although, to play devil’s advocate, I think they’re already there, in a sense. (Laughs.) You will never—try though you might, you’ll never convince me that over the last—let’s say since Chavez passed away, about—what’s that, about four years ago—that this government and its leadership has not had a number of opportunities where they could have reached some sort of accommodation. They could have basically said—well, maybe they could have allowed the National Assembly to continue to function as the National Assembly. Didn’t even have to do anything other than just allow their own constitution to continue to operate. And they have at every opportunity to kind of find some way to accommodate some degree of political opposition and some degree of what I would call normalcy have elected not to do so. So are they going—will more sanctions get them to dig in more? Perhaps. But then my view would be after you’ve dug down, you know, 20 or 30 feet—(laughs)—what’s another foot or two or digging in if you’re that already that thoroughly dug in anyway? That would be my response. OK. So we’ve talked about sanctions. You mentioned, Bill, the Catholic Church. Let’s talk about what allies the U.S. might have on the ground. There is a political opposition, the MUD. There’s an election coming up, which people seem to forget about, on May 20th, a presidential election. Talk a bit about the allies—and, Shannon, I’ll start with you—the allies that the U.S. might have in Venezuela, the prospects for the opposition. It’s highly fragmented. And if you don’t want to talk about the opposition, talk about the military. And that’s the other pressure point that people mention when they talk about what allies—so far there’s been a—there’s been a pretty solid military in place, but you are seeing recently a couple of changes, a couple of fragmented opposition military types who have been imprisoned. And so talk about the allies, and focus on the opposition, the military, Catholic Church, or anybody else you might want to talk about. O’NEIL: So the Venezuelan opposition gets a bad rap, and there are reasons for that. But I would just step back for a second in saying that, I mean, these are a group of individuals and leaders, and those that support them, that have, you know, consistently had—you know, been threatened, been pressured, been put in jail increasingly. I mean, there has been a lot of pressure on them. And many people who focus on Latin America say, oh, you know, think about the Chilean opposition, how they all came together to get rid of the Pinochet regime. But the benefit the Chileans had is all they had to do is all vote for no. They didn’t have to decide what yes was, they just had to vote no. And Maduro has been smart enough to not put a no up there. And I think he’s been quite savvy politically in dividing the opposition—putting some in jail, not putting others in jail—and sort of playing them one off the other. So we have an election coming up in six-plus weeks. Most of the opposition decided to boycott it, but we have one candidate, Henri Falcón, who has decided to run. You know, I think he is tempted by the fact that Maduro is so unpopular that even with an uneven playing field that perhaps someone can come through, and then that would be him. So I think there is an aspect there. The rest of the opposition I think is so fragmented they couldn’t agree on anyone. And I think many of them see him as a little bit of a Johnny-come-lately in that he was very close with Chavez. And so they—he isn’t the opposition to them; he’s something else. And so I think there’s been a hard part in galvanizing that force. It’s very hard for me to see how he wins, in part because I think there will be a lot of abstention from those that oppose Maduro from going to the polls, and in other part because Maduro and the government has been increasingly sophisticated in linking access to food, to sort of this basic basket of food that individuals get, to the way you vote. And so people are afraid that they will literally starve if they don’t vote the correct way. And even if he wins at the ballot box, I’m not sure that’s what the—you know, you can win at the ballot box but not—but not the election, right? And I worry about that aspect. And the United States and the U.N. and everyone else is worried, so that’s why none of them are willing to go down and be observers for this election for those reasons. But I do see at some point those that have opposed Maduro, whether for—or the whole Chavista regime, whether it’s for almost 20 years or maybe just for a couple years recently, those are the allies, right, of the United States. And then one thing I would just say about the military. We’ve heard about these schisms. We’ve heard about arrests and the like. But Venezuela has many armed groups, right? We have a military. We have a national guard. We have militias. And we have these colectivos, which are basically armed thugs in neighborhoods. And one of the challenges for, you know, an Hugo Chavez, a lieutenant colonel to rise up and change the government, which would be a way out of this, is that given the divides in control of guns, perhaps the military you’d seen an uprising, but what about the others? Could you use those forces to check? So there’s a bit of a check and balance in terms of just gunpower. Brad, do you have any thoughts on allies? SETSER: I don’t. I think Shannon has very thoroughly covered the topic. SETSER: I actually don’t—I think the bondholders would potentially be allies of a new government that had a credible restructuring plan. But bondholders—and I don’t doubt that bondholders would be willing to accept payments should Maduro be willing to come up with the money. And that—you know, payment is not precluded by the sanctions, only the inflow of new funding. But I wouldn’t describe bondholders right now as credible allies willing to provide—you know, they’re not able to provide new resources, nor are they able to voluntarily change the terms of their bonds provided with the—absent a change in our sanctions regime. FERNANDEZ: Yeah. And there’s been—from what I can tell, there’s been an unwillingness to test it, to get closer to the—to the line in terms of the bondholders negotiating or dealing with the government. SETSER: I mean, in part because I don’t think there are resources, realistic resources to negotiate over. I think there’s an open question about Venezuela’s true free cash flow now and whether payments that were made over the past several years required selling oil to Russia forward, and so therefore some of the cash that would otherwise come from the sale of oil isn’t coming in. So I’m not actually convinced there is a real payment capacity from this point forward, even though Venezuela was more or less current until last fall. BROWNFIELD: Yeah. I think Shannon is about right on the political opposition, although I offer a little bit of optimism. I think what we are seeing in Venezuela is a generational change in terms of the political opposition. As late as my time—that was ’04 to ’07—what you would call the political opposition in Venezuela was still the old, highly discredited, largely rejected, and rather thoroughly corrupt—(laughs)—political leadership of the last two decades. What we have seen over the last 10 years is a new generation that’s come up. And some of these were really—they were just kids. I mean, good lord, the still—technically—president of the—of the National Assembly, I believe, or maybe as of the end of January he ceased having that position, was a—was a student leader when I was there. And 10 years later, he was a serious player. I talk about him because he happens to be located in Bogotá, and I therefore assume he’s fairly comfortable from a security perspective. But I offer this up by way of suggesting that we are—this is good news. We are seeing a change in leadership, people that have much greater credibility with their constituencies. The problem is they’re not ready. They’re not ready for prime time. They’re a whole lot better than their predecessors 10, 15 years ago, but they’re not yet there. The military. Even when I left—and that, again, was more than 10 years ago—we said you can divide the military into two categories. One is that military which has come in so recently that they only know a military profession in the Chavez regime—in other words, they went through the academy and came in as lieutenants under Chavez, so they’ve known nothing else—and the very senior leadership, the senior generals, who had basically been corrupted by Chavez. And we said there is that—when I left, we said there is that group of people that were roughly majors through colonels, maybe four ranks, that have a pre-Chavez memory of the—of the Venezuelan military. They’re pretty much gone now. The military today is a military that has known nothing other than this government. Now, they still have grounds for frustration, and there are—there are still things that could trigger them, I suspect. For example, if they were ordered to fire on civilians, some civilians are going to be their family. (Laughs.) They’re going to be brothers and sisters, children, cousins, aunts, and uncles. That puts—you know, military people are kind of like humans in a sense, and that puts a certain amount of stress on them that could come to play. Second is the presence throughout much of the military and security apparatus of Venezuela of Cuban personnel. And again, I don’t want to overstate the case, but I do want to say just as we—and I’m using this in a very positive way—we would be a little bit perplexed here in the U.S. if we discovered Canadian advisors at all parts of the United States government. Now, I actually like Canadians and I kind of like having them as a neighbor. I’ve liked them for 65 years, thank you very much. Of course, I come from Texas and I rarely saw many until well into my years. But I would be perplexed to see them in senior positions in the United States Armed Forces, in federal law enforcement, and so forth. And to a certain extent, that’s what Venezuelan military and security personnel are looking at right now. I’ll close on this, Jose, by saying—and it’s history—but the last year or so that I was in Venezuela, I would often say privately to opposition leaders or wannabe opposition leaders that they really should wrap their heads around the prospect that the future opposition to Chavismo—the movement of Hugo Chavez—may actually come from Chavismo, that they had better start thinking about the fact—and this is a good thing because it does mean at some point if you can get people thinking along these lines that you’re actually trying to build bridges. Now, at this point you might say trying to reach out to get somebody to turn against the government, but the idea that opposition and current members of the Chavista structure might be engaged in some sort of conversation in the long term is a good thing. I think that’s still the case, but the longer this tragic story continues the more complicated any sort of transition’s going to be. Last question before we turn it over to the members for questions. One lever of power or of influence, perhaps, is that the U.S. could try—and we have tried it in some fashion—is the international community. For a long time Chavez could get his way at the OAS because of PetroCaribe, the U.N. wasn’t doing very much, and the rest of the Latin American community was willing to say that it was an internal Venezuelan issue. That’s changed. And we have coming up the Summit of the Americas in a couple of weeks. It happens to be in Lima, and the Lima Group has been quite active—and it’s—it was organized originally by PPK, by Kuczynski, so we don’t really know the future of that. But talk a bit about—and, Bill, you mentioned it at the start—talk a bit about what more could be done with the OAS, with the U.N., with the Lima Group to try and bring more pressure on Maduro. And I’ll start with Shannon, if you like. O’NEIL: I mean, so there is a problem in the OAS. I wonder now, and they couldn’t get the two-thirds votes they needed before. But as you mentioned, PetroCaribe, so the cheap oil or free oil that was going to many of the islands, that’s slowed a lot. So I sometimes wonder if you took that vote again what that might look like. FERNANDEZ: Why hasn’t that been taken again? O’NEIL: You know, my impression is that Secretary Almagro has gone on a different track. Maybe he’s done the vote count and he doesn’t see it happening. We haven’t had very strong U.S. leadership in the OAS in pushing that. And he has taken the track of trying to fast-track genocide and human rights charges in the International—in the ICC, the International Criminal Court, against Maduro and many of the others in the government. So that has been—the energies of the OAS have gone towards that designation rather than going back and rehashing that vote. I do see the Lima Group—which is 14 countries, all the biggest economies in the region, the United States, and Canada—I see that has been a galvanizing force. I worry, though, that it is attenuating. It’s attenuating because PPK is gone. The Mexicans, who have been big leaders on this issue, are about to get a new president, and one of the choices if not more than one of the choices are going to be much less interested in leading on the Venezuela issue. One thing Rex Tillerson did do was go around and talk with a lot of people, and try to galvanize and bring together this regionwide condemnation. So a lot of that groundwork that he did is now gone, would have to be redone again. So, yes, I think there’s a regional response there. And then the last thing I would say is most of the region is absorbed in their own elections. And just like in our own elections, foreign policy isn’t usually at the top of the list, right? The Colombians, the Brazilians, the Mexicans, they’re thinking about economic issues, they’re thinking about corruption, they’re thinking about other things in appealing to their own voters. So this isn’t—Venezuela’s not top of—top of mind or top of list. And we’ll see a new raft of leaders that come, which may or may not be as strong and forthright on the Venezuela issue as in the past. So, yes, there’s a role for the region. But I worry that perhaps that peak moment has passed and we’ve wasted it, the United States as a galvanizing force. The U.N. is an interesting body, too, there. I mean, the challenge for any kind of U.N. resolution or movement is that both China and Russia sit on the Security Council and have a veto, and neither are particularly interested—I would say Russia even less so than China—in a change in regime there. I think China is more interested in protecting its assets and the, you know, upwards of $20 billion that Venezuela owes it. Russia has more geopolitical reasons for keeping Maduro where he is, as well as, you know, being able to buy cheap assets from them when they’re—when they’re desperate for cash. So I think there’s a challenge there. The one thing that could—and to come back to migration and migrants—is the U.N. has yet to designate Venezuela and those leaving Venezuela officially refugees. They have talked around the issue recently and called it the “Venezuela situation,” not “crisis,” because once you say it’s a refugee crisis then all of those people have rights when they go out to the other countries in terms of they can’t be sent back to the country and different sorts of things. And so the U.N. has not gone there yet, but they’ve started taking baby steps. So they’ve actually just asked for $46 million to start dealing with the refugees and helping the countries, Colombia and Brazil and the islands. So I do think there’s a movement that way. Now, does recognizing the refugee crisis and what’s causing it, does it lead to a change in Venezuela? Maybe, maybe not. But I do think there’s a naming and shaming there. There’s a condemnatory side when you recognize all these people fleeing, that the cause of all of this is the government in Venezuela and all the things that Brad put on the table, this failed state, collapsing state. I think there’s something there that the U.N. can do, even if they can’t get something through the Security Council. BROWNFIELD: May I add just a couple of points? I think in terms of the regional grouping—and both you and Shannon have laid out, I think, how there has been this gradual shift over the last 10 years—there were a group of nations that were basically bought off through PetroCaribe/PetroSur, and they see that that oil pipeline is dwindling, if not completely shut down. So they are much more—they’re less willing to serve as obstacles or blocks to any international action. Then there are a couple of heavyweights, Colombia and Brazil, who are getting increasingly grouchy over the fact that they are directly receiving hundreds of thousands—and, in fact, if you listen to the Colombians, millions—of Venezuelan migrants, and they want to have some sort of collective effort to address or solve that problem. And then, of course, there have been some adjustments—some changes through electoral processes in a number of countries—Argentina, Brazil, Chile—which have brought on governments that are more willing to take a somewhat harder or firmer look at the Venezuela problem set. So actually I agree with Shannon. I do believe there’s far more grounds for optimism on this front than there was, say, 10 years ago. Now, why did nothing happen or why has nothing happened since the last time the OAS tried, unsuccessfully, to force through a vote on this issue? One possible reason that I submit—and this is 39 years of a diplomat speaking—is you’re looking for a trigger. You’re looking for a triggering event. You don’t just throw a resolution out because today is Wednesday and let’s do resolutions on Wednesday. You want—you want to be reacting to something. And the first go around, as you know, there is massive unrest on the streets and a certain amount of suppression of that unrest by military and security forces. Is there anything else coming up in the—in the near future? Is something going to happen on or about the 20th of May in Venezuela? What will be—what will that actually produce on the ground? I don’t know. But if you’re looking for a hook to encourage or lead or nudge an international organization to take a concrete step, that would be the sort of triggering event that could lead to that. I don’t know what’s going to happen. It could be the dullest day in the history of Venezuela, everyone stays home and watches baseball to the extent that they still have televisions and they have electricity at any given time, and they’re not actually out standing in line to get the last remaining potato at the supermarket. But it could also be a triggering event. And I would say watch this space carefully. Let’s now turn it over to the members for questions. I would ask you to wait for the mic, stand up, give us your name and affiliation, and keep it short. BROWNFIELD: And easy, really easy. Q: Thank you. Juan Manuel Ocampo, Trajectory. Probably for Shannon, the question. What happens if Cuba calls all of their cadres home? I know it’s unlikely, but just, boom, they decide to do it. What happens to the Venezuelan government? O’NEIL: It is unlikely, and I think especially given that the Trump administration has rolled back the opening to Cuba there’s less reason for Cuba to work with the United States on this issue. Because that would be—if we talk about who has leverage over Venezuela, Cuba has leverage over Venezuela, right? They are in—of what’s left of the health system, they are the people who are part of the health system. They’re advising the military or overseeing the military or whatever you want to call it, supervising the military—(laughs)—in a sense. And then they have other aspects in there. If Cuba decided to just pull out—I mean, they also—remember, the Cubans aren’t just doing it out of the goodness of their heart. They are getting, you know, 100,000 barrels of oil a day in exchange for the workers that they send there. Plus, until recently—and this may go back to the payments—they were also getting a—you know, the Cuban government was getting a full retail price for the work that those nurses and doctors were doing and then only paying them a small fraction of that, so they were—they were getting a full salary, which was quite helpful to the Cubans. You know, if they pulled out, I think the health care—whatever’s left of the health care system would utterly collapse. We would see—and that would lead to all sorts of bad outcomes, not only in Venezuela but you can imagine epidemics and other spreading across the borders with the people who are fleeing and the like. We’re already starting to see a bit of that, but I think you would continue to see that. And then I think the real question is what would happen within the military if you no longer had these minders lurking around the halls or running things. Would you see any of those—is there anyone left who is constitutionally minded or can galvanize a group of constitutionally minded, or are those middle levels gone now? Q: Richard Weinert, Concert Artists Guild. Take the assumption or the hypothesis that there’s a triggering event and one of these international bodies or countries come together. What kind—what kind of concrete steps can you imagine them considering or taking that would impact the situation? BROWNFIELD: Shall I start? I’ll throw out a—I mean, this is just off the top of my head. I have not actually sat down and done any systematic thinking on this score. There could be some sort of resolution that calls upon the international community to respond to a humanitarian crisis. It could be driven out of the United Nations General Assembly. Could come out of UNHCR and its annual kind of executive committee. I suppose it could come out of the Security Council, although it would be an unusual thing. The Security Council, obviously, tends to have a harder edge to it. But you have a—you have a resolution, a decision, a declaration, something that relates to the humanitarian crisis. There is the human rights issue, which is to say let’s throw Venezuela into the mix. Or during the always-entertaining annual exercise where you line up the 20 different countries that have to get zapped and called by name on human rights, you call out Venezuela, presumably something the government itself would not like, agree to, or approve. You could probably get the United Nations drug organization, UNODC, to render some sort of judgment/declaration/resolution on drug trafficking. In a sense it would be odd, because the situation was much worse seven or eight years ago—(laughs)—than it is today. But you could do it. Now, you’ll notice everything that I’m saying is not the sort of thing that’s going to bring the house of cards collapsing in Venezuela. What it does is put the spotlight on the government of Venezuela. And, depending upon the language of the declaration/resolution/decision, whatever it may be, gives either individual governments or organizations or regional organizations an opportunity to take whatever steps they might choose to take—whether it’s sanctions or commercial or trade policy. In other words, it is easier to do it if you able to connect your individual country decision to a United Nations or an OAS decision. You got to think at several levels. The likelihood of a Security Council resolution calling upon some sort of action, operation, or intervention in Venezuela I think is pretty close to zero. In fact, it’s zero. I think Shannon has laid out kind of the reasons. There are two countries with veto power. And I think it’s highly unlikely that they would approve any such resolution. But there are other things that United States, the global body, or the OAS, the hemispheric body, could do that would, one, draw attention to the government and, two, offer an opportunity for smaller groups or individual governments to take steps on the ground. Q: Ivan Rohija (ph) with Terra Nova. My first question—I have two quick questions. First is to Shannon. I wanted to know from your vantage point, Shannon, how do you see—who’s been driving our policy in relation to Venezuela, National Security Council versus State, prior to the recent changes? And how do you see that changing now? The second question is, if any of you can comment on The Wall Street Journal article yesterday about the dollarization of the Venezuelan economy that the candidate Falcón is advocating. Thank you. FERNANDEZ: And you—Brad, you might have a view on that too. SETSER: Look, dollarization is obviously an option if you’ve lost complete monetary control and you’re facing hyper-inflation. I would caution against it. I think oil exporters in particular benefit from a currency that moves together with oil in the opposite direction. It can be a powerful stabilizing force. When oil goes down, the Colombian peso goes down, and that stabilizes the budget revenue that Colombia gets from its oil exports. When oil went down, the ruble went down, and that helped stabilize Russia’s budget. Losing that, to my mind, in the long run adds to instability in the economy. So I think there’s basically a tradeoff. In the short run, it could help increase stability. But in the long run, I think it adds to the challenges that Venezuela faces as an oil exporting economy. My personal view is that Ecuador hasn’t become a paragon of financial stability after adopting the dollar in 1999. FERNANDEZ: Brad, but that assumes that you’re not going to have a printing press in Caracas just printing dollars and printing bolivares fuertes, or whatever they are now. I mean, does that—you don’t have a terribly credible central bank there. SETSER: You don’t. So you would have to think of other ways that fall short of full dollarization that would provide a monetary anchor and credibility should there be a change in government. It is in—you know, effectively, the current government would have difficult dollarizing, because that would mean they would be giving up the printing press and they would not have any credible access to an emergency source of dollars. So your bank account, if it were denominated in dollars, would actually be at more jeopardy of being frozen. You could always, with the bolivar, you can always get your—maybe, not always—but in principle you can get your money out, it just may be depreciated. When you dollarize, in some cases your bank accounts get frozen. There just isn’t—there aren’t dollars there. So my person view would be that as Venezuela moves forward, the international community should be exploring options for providing monetary stability and credibility that fall short of full dollarization. O’NEIL: Mmm hmm. On the—on the politics and who’s guiding it, I mean, I think there have been different roles. Rex Tillerson was playing a pretty significant role, and in the diplomacy around the region. The NSC was playing an important role. As one person joked to me, that, you know, in Latin America they’re spending 80 percent of their time on Venezuela and 20 percent on Cuba, and that was Latin America. (Laughter.) So, but not to be too facetious again, but actually I would say that if I had to wager that our Venezuelan policy is actually being, at least in part, run out of Congress by representatives and senators from Florida. So I think that is—that there’s a lot of elements here in the mix, but they’re actually—as Latin America policy goes, U.S. Latin America policy goes, Congress is actually playing a really important role in guiding this—particular members of Congress. Q: Ron Shelp, author and filmmaker. This is a hypothetical question. But if Chavez was still—well, let’s try it another way. If the late president was still alive, I presume you both—or all of you, agree that he was probably a more effective leader than Maduro. If that were true, would things be as bad now as they are now? And is there any chance he would have negotiated and been a little more reasonable? BROWNFIELD: Yeah, a hypothetical based on a hypothetical. But, hey, I don’t work for a living anymore, so I’ll play. (Laughter.) Hugo Chavez was a much shrewder and, I would say probably, smarter man than his successor. And as a consequence, I would say, hypothetically, would not have fallen into perhaps quite as many of the—of the self-created traps and problems that his successor has fallen into over the last four years. And that is to say that tactically I believe Mr. Chavez—and this is—we have to add to your hypothetical, assuming he had his health stayed up. I mean, Hugo Chavez of his last year or so of life was but a—it wasn’t a thin—it was a rather a plump image of the younger Hugo Chavez. I believe he tactically would have managed the system—the situation better. That said, your question goes to the long-term strategic issue. And I’ve got to tell you, I’m a believer in objective measurable data, which at some point is going to produce a result. And if your economic policy is bad, your political policy is bad, your security policy is bad, your social policy is bad, at the end of the day it is going to produce a bad result. Now, your tactical approach can have an impact on how long it takes and the manner in which it occurs. But the result, I think, is kind of inevitable. The last secretary general of the—of the old Soviet Union, I thought—I’m old enough to have this memory—was a pretty sharp guy. I thought Mr. Gorbachev was maybe the finest—maybe—the finest head that the Soviet Union had in its entire history. And yet, despite having that sort of talent at the top, the kind of—the facts around him made the collapse inevitable. So my answer to your hypothetical question is, yeah, it would have had an impact in terms of how this played out, and it might have stretched it or conceivably, as you point out, he might have brought it to a close earlier on. But I’m one of those who believes that the outcome here is in fact, it’s largely inevitable. It’s just a question of timing. Q: Steve Freidheim, Cyrus Capital. So what we were observing leading into the default was one nation, China in particular, providing credit to Venezuela—credit at a time where it looked like it wasn’t a financial bet. They weren’t getting enough interest to justify the credit that they were taking. So the question, really two-part. One, what was your understanding of the motivation of the Chinese to be providing credit to Venezuela at that time—albeit, highly unlikely to be an economic one, economic that is on the loan. And then secondly, how do you see then today where other foreign players in Venezuela today, what are they trying to get out of it and how are they trying to shape outcomes in Venezuela? SETSER: Obviously that’s a really good question. My sense was that China was much more active several years ago than it has been in the past few years. And I think China was, at that time, motivated by what tends to motivate all players in Venezuela, Venezuela’s oil resources, and a sense that by providing credit China could secure something that its economy clearly needs, which is a reliable source of supply. And perhaps, secure that supply on more favorable terms than it could get elsewhere. Did China want to build up its broader influence throughout Latin America? Unquestionably. China doesn’t just provide credit to Venezuela. It provided credit to Ecuador and many others. And I think China views—and Brazil—and China views South America in some sense as one of the best available sources of the natural resources that China needs—be it copper, be it iron, be it oil. And if it was building up China’s global position vis-à-vis the U.S., all the better. China doesn’t want to remain a regional actor exclusively. I think in the past several years—and then I think China’s motivations perhaps shifted. And recently China seems to be behaving more defensively in the sense that they want to make sure that they get at last something on their exposure. And they’ve been willing to defer full payment in return for promises of future payment and haven’t demanded all the oil that they could have in exchange—given the terms of their loan contracts. I think Russia recently has been much more active, much more willing to provide new money as opposed to reschedule old money. Much more willing to take strategic stakes in the oil sector, notably by Rosneft. And much more willing to sort of be the sort of only available—particularly after the sanctions—source of funding. Putin likes to play on a grand scale. And this has been an opportunity. And I also think that it may be one of the ironic byproducts of U.S. sanctions on Rosneft, because Rosneft can’t really play globally except in other sanctioned countries. And so therefore it’s sort of a coalition between two sanctioned entities. Rosneft doesn’t have to worry about being sanctioned, because it’s already sanctioned. And Rosneft, more than the government of Russia, has been active. And I presume Rosneft wants to be an oil major—a global oil major and is looking for any available opportunities. And I also think that Putin doesn’t mind tweaking the U.S., just a little bit. FERNANDEZ: Let’s get a few questions. We only have five, six minutes. Let’s get a few questions and then I’ll—you can take them. Sir. Q: Alfred Youngwood. I’m a retired lawyer. Where do you see Venezuela in five years? Q: Lucy Komisar. I am a journalist. Given that Venezuela is not a threat to the United States, what is the justification for waging economic warfare against it, creating the—exacerbating the terrible economic conditions and suffering that you have described, in order to get regime change? Why should the U.S. be in the business of destabilizing countries it doesn’t like? Q: Thank you. Thank you to the panel. Victor Sierra from Torino Capital. My question is actually at a personal level. As for your expertise, what should be the policy of the U.S. towards Venezuela? FERNANDEZ: A couple more. Sir. Q: Michael Skol of Skol & Serna. One of the great differences between the Venezuelan crisis and past problems with dictatorial regimes is the sheer number of Venezuelan military and civilians co-opted by corruption and other things. The boliburgueses, there are many, many, many, and most of them have apartments on 57th Avenue in New York. Henri Falcón, the fake news candidate, has also suggested what looks like a massive amnesty for all of these people. One way to get rid of them, one way to prevent them from digging even further down and preventing any kind of change. Is this—it may be repugnant—but is this an at all viable option in Venezuela? FERNANDEZ: Thank you. One more. Q: Ben Ramsey from JPMorgan. Question for Brad. Why not dollarize with an oil currency? What about the Canadian dollar? FERNANDEZ: OK. All right. So Venezuela in five years, justification for U.S. policy, what should the policy be towards Venezuela on the U.S. side, should we—should there be a massive amnesty, and why not the Canadian dollar, the loonie? (Laughter.) So take what you like. SETSER: Well, if you were going to peg, I would think the—or dollarize—maybe you should import the Colombian peso, because I would guess that would be the currency which has the greatest correlation to Venezuela, given that Colombia is also an oil exporter. I think the other conceptual alternative if you’re going to go to a hard peg would be a peg that includes as a component the oil price, which is something that Jeff Frankel at Harvard has advocated for a number of oil countries. My guess is that in the short run you would want some kind of anchor, some kind of peg. And in the short run, as long as oil isn’t too volatile, the U.S. dollar and Canadian dollar, or any anchor would probably serve equally well. In the long run, I certainly think you are better off having a currency that is correlated with oil. I’ll quickly answer what am I for. I would be for, despite the potential harm to the Venezuelan people, for tightening the screws on the financial sanctions. Right now we allow 90 days credit for lending PDVSA, which could be tightened to 30 days to be consistent with the sanctions on other entities. Is that going to be enough to change the situation materially? Probably not. But it does seem to have a material impact because it makes the joint venture partners very reluctant not to receive immediate payment in cash for services rendered. It takes away suppliers’ credit. And I think this tightening would contribute to the ongoing fall in Venezuela’s oil production and oil revenue. I would not, though, go the next step and try to block payment for oil or block the export of the product that Venezuela needs in order to export. I think that runs too high a risk of imposing large humanitarian costs on the Venezuelan people relative to the potential gain from inducing the possibility of change. It’s hard to figure out how sanctions end up playing politics. I also think we need to be ready for a government that we want to support, be ready to mobilize the IMF to lend quickly, think about what the right currency anchor should be, think about how we can provide an immediate influx of funding. I think we have to be ready to encourage the Inter-American Development Bank to play a very active role and play the price, which seems likely to be support for a capital increase at the Inter-American Development Bank. I think we can send signals that we are ready and willing to support a new government, but I wouldn’t tighten the screws that much further, in part because I think our sanctions may be having more of an impact than is recognized. FERNANDEZ: Shannon, you’ve got 60 seconds, and then another 60 for Bill. O’NEIL: In generally, why should we care, right? That’s a question. And there’s some realpolitik reasons. There’s the security reasons. There’s transnational crime and the like. But I—call me an idealist—I think that we should care about democracy, we should care about freedom of expression, freedom association, freedom of elections and the like. I also believe that we should care about the rising humanitarian crisis. There are already 4 million people who have left. There’s another 1.7 million who are going to leave just this year. And there are many who aren’t able to leave because they have no food, they have no ability. So I think those are things the United States should care about, frankly. And, you know, one thing to me that is somewhat distinctive about this region, about Latin America, and you see in the OAS, is actually all of these countries at one point signed a democratic charter. This regional body says that all of these countries agreed to be democracies, that that was part of the membership. And I think the United States, frankly, should support that. I want to say one thing on how do you get there, how do you get back to a deal, and the amnesty part of the deal. All of the pacts that we have seen, the transitions to democracy in the ’70s and ’80s in Latin America or in Spain and other places, there was a pact, right? There were amnesties. And so that probably will have to be part of the deal. The challenge, though, I see for this particular situation is that those deals are sometimes—are no longer credible in many ways. And when Pinochet was arrested in London he had been given amnesty, he had been made senator for life. And, like, when he was arrested in London by a Spanish judge, a Spanish, you know, warrant, that said that no matter what deal was made at home, it may not hold up in the international community. So I think that is a challenge for coming up with some backroom deal. Those people may never be able to leave Venezuela, or perhaps Cuba will be their only place to go. FERNANDEZ: Interesting. That gets back to the have we backed these guys into a corner. FERNANDEZ: Last 60 seconds. I know it’s dangerous, but I’m going to hold you to 60 seconds. BROWNFIELD: I’ll pick only three issues. Where do we think we are in five years’ time? I think by then we’ve got a transition. Although, I would urge everyone to keep in mind the transition may not be from hell to nirvana. It could be—it could be a gradual transition, in which we see some form of, I would say, less repulsive Chavista government that is at least moving in the right direction, as opposed to democratic opposition coming to power. Mike, the amnesty issue, you know, if it’s amnesty just in terms of not being prosecuted for past crimes, political crimes, human rights crimes, I guess that’s an issue for the Venezuelans to decide for themselves. But if it—if it then allows them to keep all of the what could be tens of billions of dollars of assets that they have managed to move out of Venezuela, I think that goes a step too far. And I think they’re going to need at least access to some of that, whoever the follow-on government is, to get some of that money back so that they can—they can rebuild some of the absolutely destroyed institutions and infrastructure in Venezuela. And finally, what should be U.S. policy? I’ll throw in one good word for this administration—although, in all honestly, I think we started with the last administration. Getting other governments, particularly regional governments, out in front so that they are the ones who are putting basically their names, their title on whatever the decisions may be, I think that’s essential. That’s the sea change between when I left in 2007, when as Mr. Chavez, a shrewd individual, skillfully asserted at every time that basically it’s him against the empire. And what is happening now, as you see, you know, Peru, Chile, Argentina, Brazil, Panama, Mexico, Colombia taking a very visible, very public positions, is that this is a hemispheric issue where basically the neighborhood has said we must do something to address this issue. That, to my way of thinking, is the key that we want to hang onto, if that’s not a stupid metaphor, in order to move a policy forward. BROWNFIELD: How about you? Don’t you—don’t you get a thank you? Don’t we—don’t we thank you as well?